Religious processions & services during the week. Beach parties on the weekend. 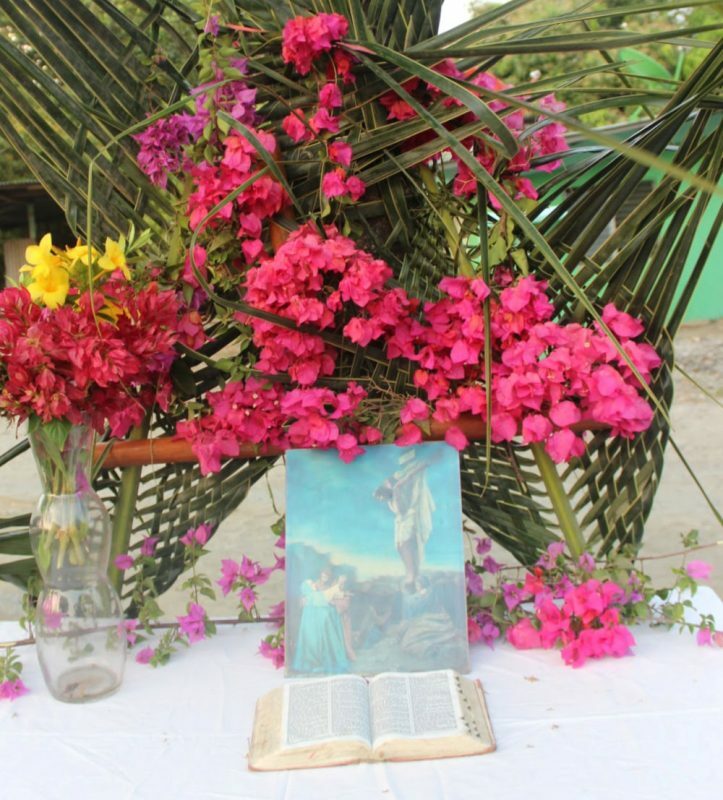 Pascua (Easter) in Panama is not a one-day celebration. Like most Hispanic, mostly Catholic countries, the entire week before Easter Sunday is widely celebrated. That week is called Semana Santa (Holy Week). 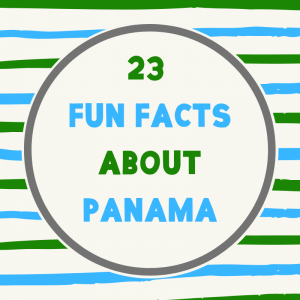 It is one of the most popular and celebrated holidays in Panama. 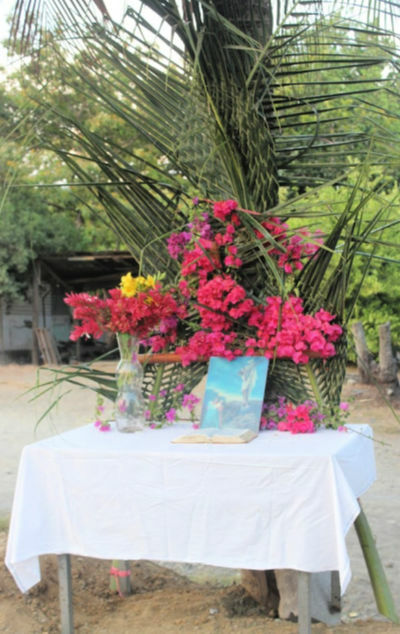 Semana Santa starts on Palm Sunday and ends 7 days later on Easter/Pascua Sunday. 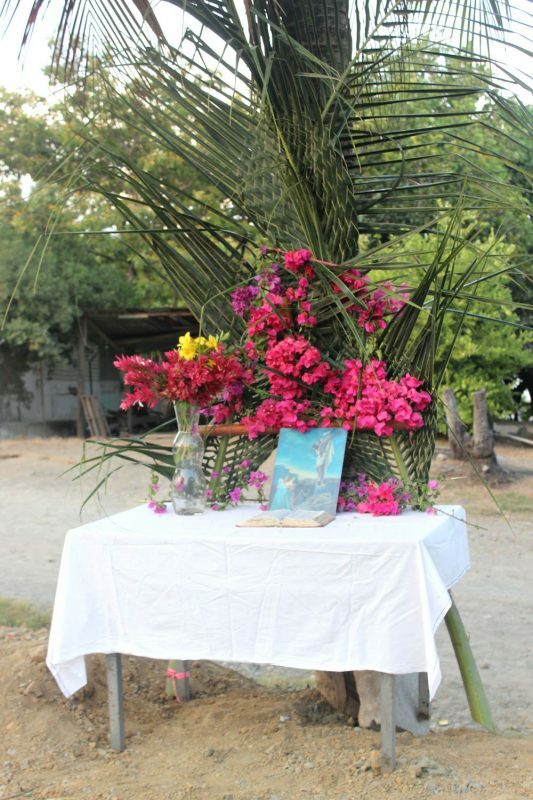 During the weekdays of Semana Santa, the celebrations are noticeable solemn and religious in nature. But on Holy Saturday and Easter Sunday, only the more religious remain solemn. For the majority of people, all solemnity is shed on Saturday, esp. Saturday night, and on Sunday. Last Holiday for 6 Months. 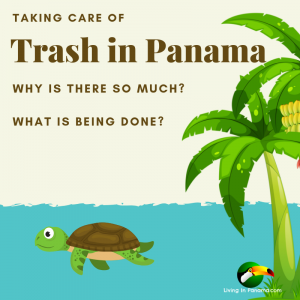 Easter is also the last holiday for 6 months in Panama. 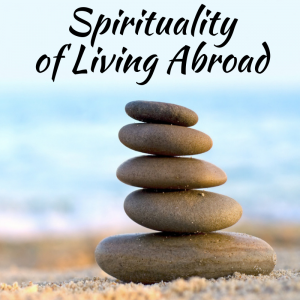 This could explain why the week-long holiday ends more in a party mode rather than in a solemn religious fervor. The next holiday is in November. To make up for that 6-month long hiatus, the month of November celebrates 5 holidays. Semana Santa also often marks the end of summer or the dry season. The rainy season usually begins in late April or in May. Discover more about Panama’s climate and weather. As I’ve indicated, Holy Week is a time for special masses, local religious processions dedicated to Mary, Jesus, a Saint, Jesus’s last supper, crucifixion, or resurrection. Every day of the week commemorates different things. I describe the most significant days below. 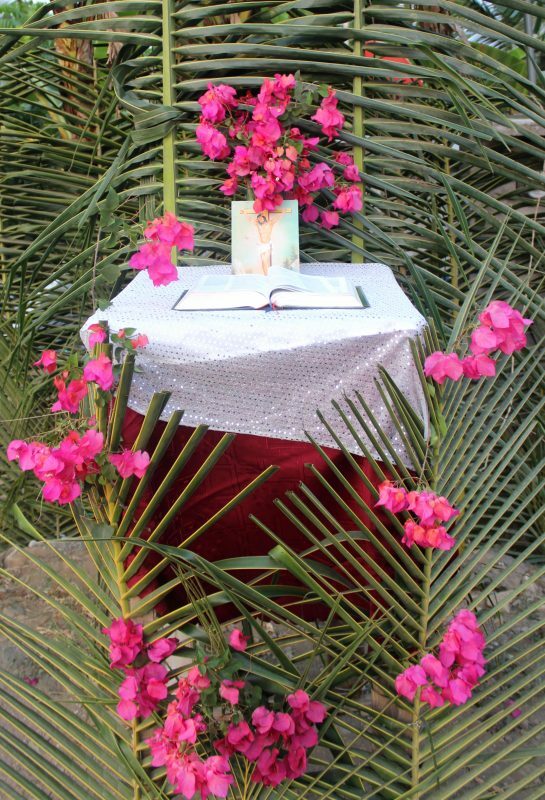 Palm Sunday – Celebrates Jesus’s return to Jerusalem after his 40-day fast in the desert. His followers laid down palm leaves before him to walk upon. You won’t see that. But you are likely to see people walking around with palms or palms woven into crosses after they leave the church on Palm Sunday. Holy Wednesday – Church services typically include the reciting of the stations of the cross. Some churches put on a Passion of Christ play (aka Easter Pageant) to dramatically depict the stations of the cross. (Passion in this context means suffering). The Stations of the Cross: There are 14 stations which represent various milestones of Jesus’s last week of life (Holy Week). The first is of Jesus being sentenced to death by Pontius Pilate and the last is of Jesus being laid in his rock-hewn tomb. For me, this command to love one another is the most important and essential element of Semana Santa. Good Friday – Commemorates the crucifixion of Jesus Christ. 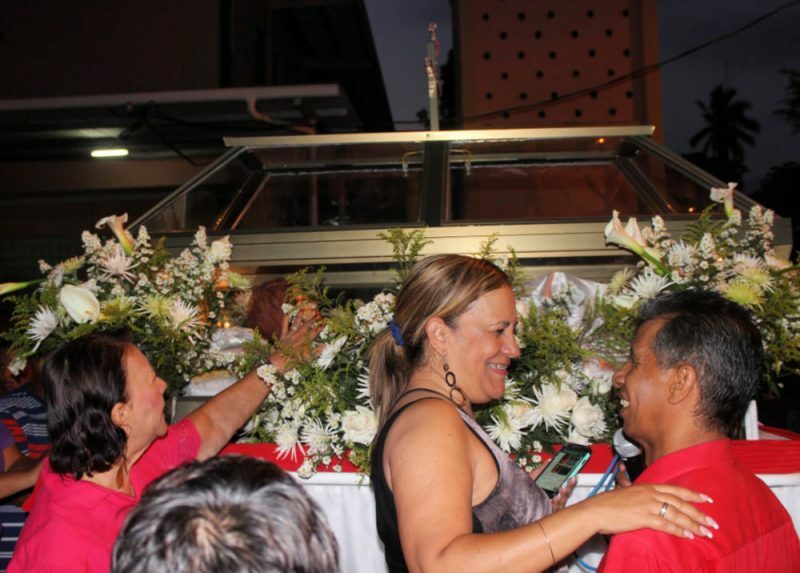 All across Panama, you will find somber and religious processions to commemorate this event. 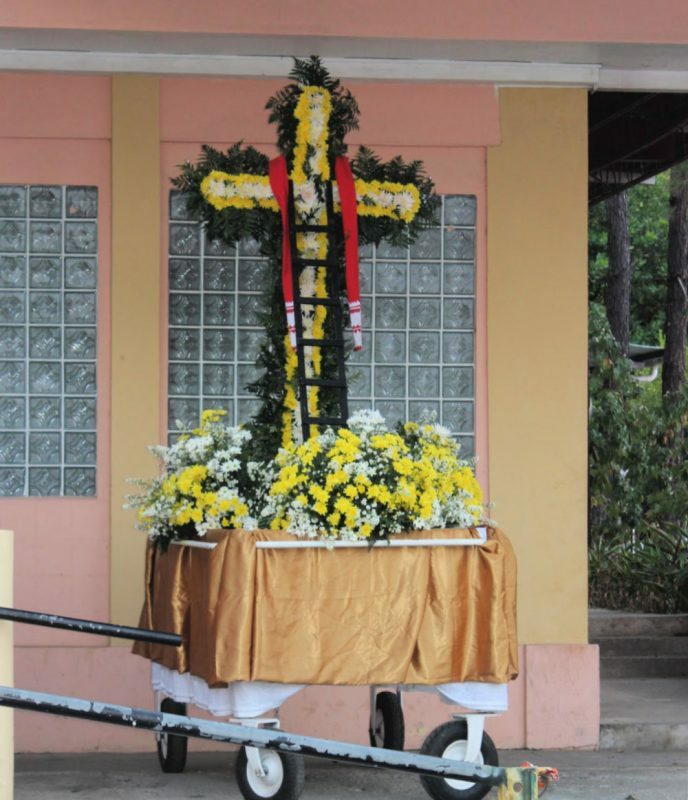 Some processions have floats, some visit the stations of the cross that parishioners have constructed in various locations on the procession circuit, and some do both. 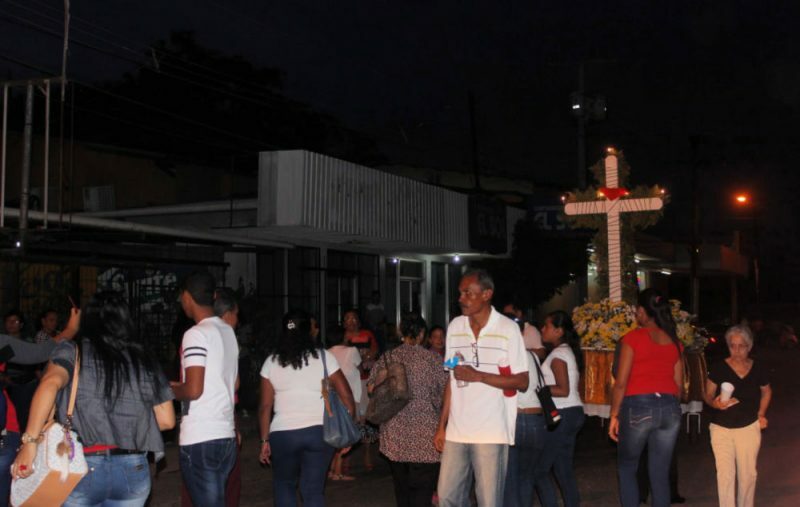 Whether you are a believer, a photographer, or simply curious, you will find a Good Friday procession in almost every Panamanian town. 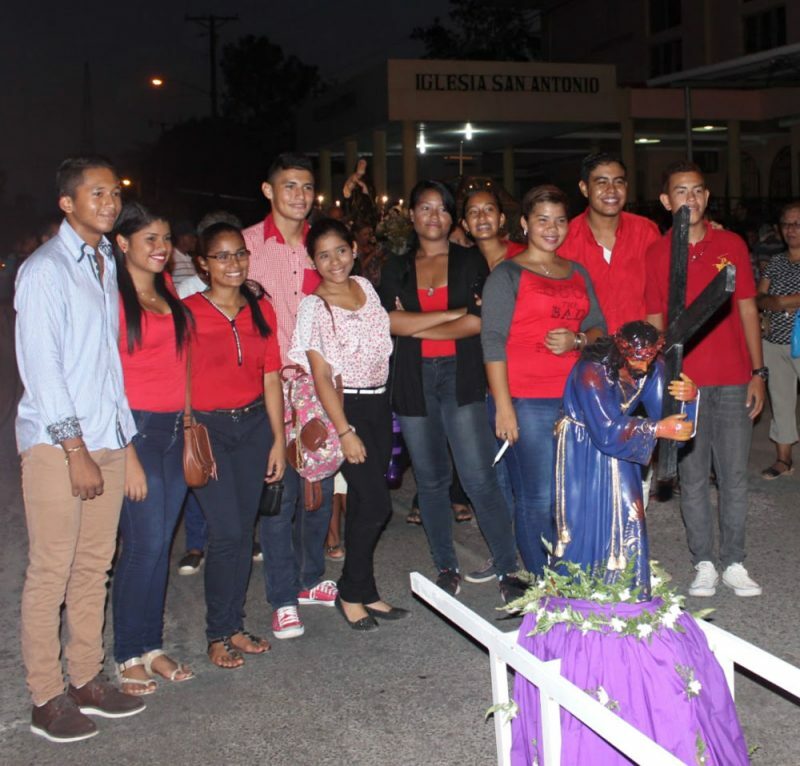 Below are photos of people gathering for the Good Friday procession to visit each of the stations of the cross which were created in various neighborhoods. 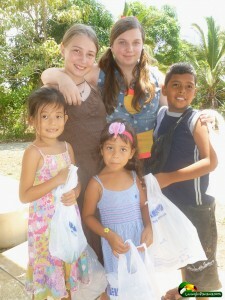 These photos were taken in Puerto Armuelles, Panama. The photos of the stations of the cross were taken in the day, before the procession. Click on any photo to start the slide show. I think they did not have a picture of whichever station of the cross this represents, because no station is with Jesus alone on the cross. I saw this band gathering in Puerto Armuelles on the morning of Holy Saturday. I am not sure if it was related to a Semana Santa celebration or not. Holy Saturday – This is a day in which Jesus was is in his tomb. There is not much to reenact or do with around that. However, as the photo shows, not everyone goes to the beach. 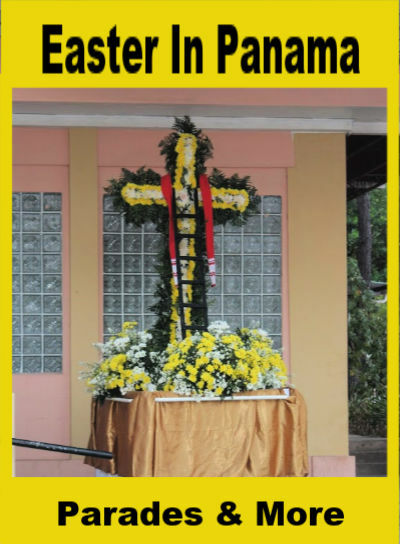 Easter/Pascua Sunday – Big celebration of the resurrection of Christ. The day he rose from the dead. In the States, that is the big day for believers to attend church. 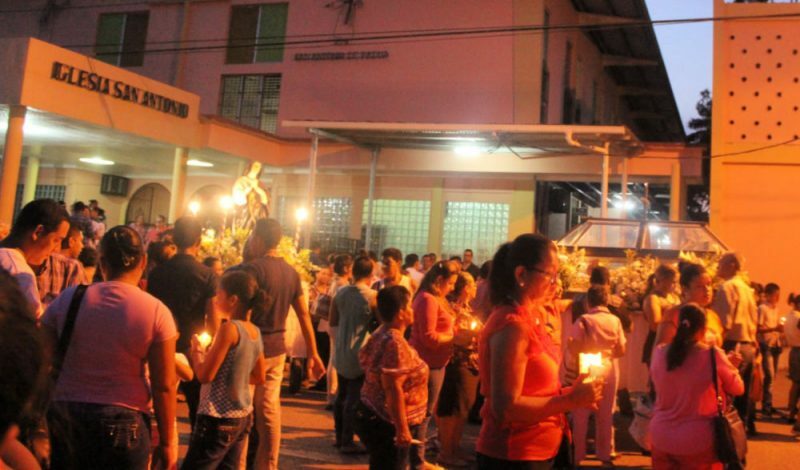 On Easter day in Panama, mass is held, of course. However, in Panama, believers are more likely to attend church multiple times earlier in the week. The date of Easter changes each year. It can occur anytime from February through April. The exact dates vary in accordance with the lunar calendar. 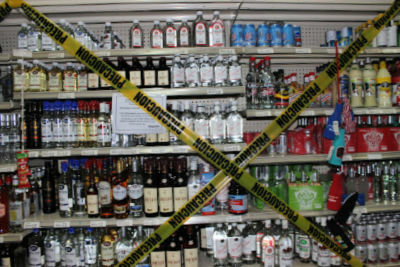 This is what the liquor section of Romero’s looks like for 54 hours during Semana Santa. Sales of alcoholic drinks at bars, restaurants, and every type of store and shop. Loud music. This includes loud music from clubs, boom boxes, and parties. If you want to have a drink during those 54 dry hours, you should purchase your alcoholic beverages before noon on Maundy Thursday. 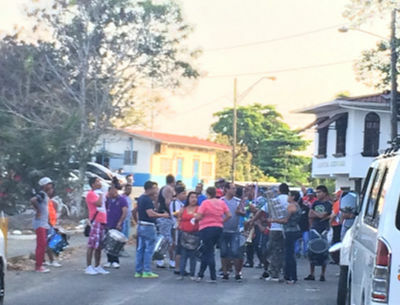 Like all big holidays in Panama, people pour out of Panama City to go back “home” and then they flood back again. If you can avoid it, do not travel from Panama City into the interior on Wednesday or Thursday or in the reverse direction on Sunday. Keep in mind, during Easter, Carnival and other big exodus holidays, the government tends to turn the Pan-American highway by Panama City into a reversible lane highway. 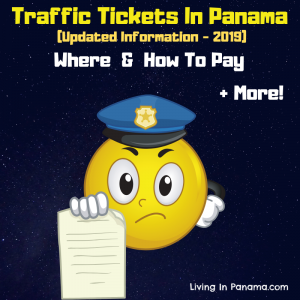 Which means, trafffic will only be allowed to exit Panama City at the beginning of the holiday. Then when everyone heads back to the city to go to work, the section of the highway near Panama City will only allow city-bound traffic. 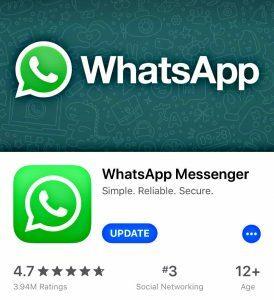 Check the news before you travel. Everyone gets a four-day weekend. There are 3 public holidays during Holy Week: Maundy Thursday, Good Friday, and Holy Saturday. Most people also get a half day off on Holy Wednesday too. Mostly, because nobody’s mind is on the job before this big family holiday so their employers just send them home. You will find all government offices and many establishments closed during this 4 to 5 day weekend. 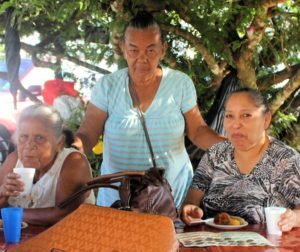 There are a number of foods that are special for the week of Semana Santa. 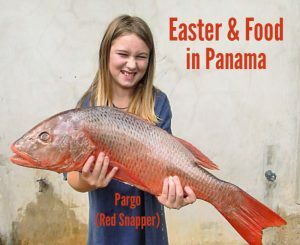 This article is long enough, so I write about Panama’s Easter foods in a different post. In the last few years, you can find easter decorations and related items in Panama. 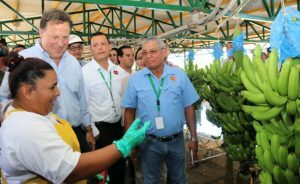 But it is not prevalent or even found in all places in Panama. 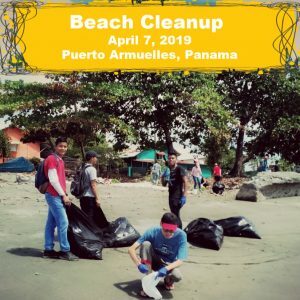 If you are searching for something as specialized as a chocolate Easter bunny, your best options will be found in Panama City or in places where there are a number of expats. If you want to participate in an egg hunt, your best option may be to host one yourself. My kids grew up in Panama, creating a more American-like Easter is a challenge. When we first came, I could not even find food coloring to use to dye our eggs. Turned out it was fun to discover our own dyes. We love dying eggs in my family. 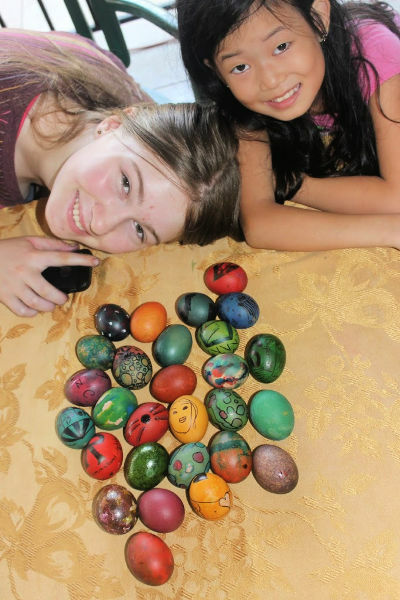 To find out what we do, see my article on how on expat kids celebrate Easter in Panama. 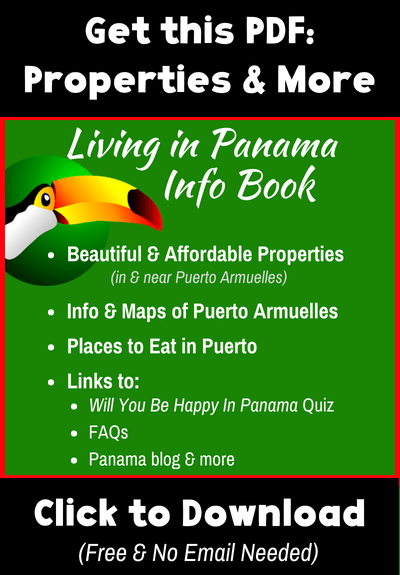 Find out more about life in Panama, subscribe to our newsletter.